This weekend Emily and I headed down to Corvallis for what has become an annual party at Scott and Danielle’s. 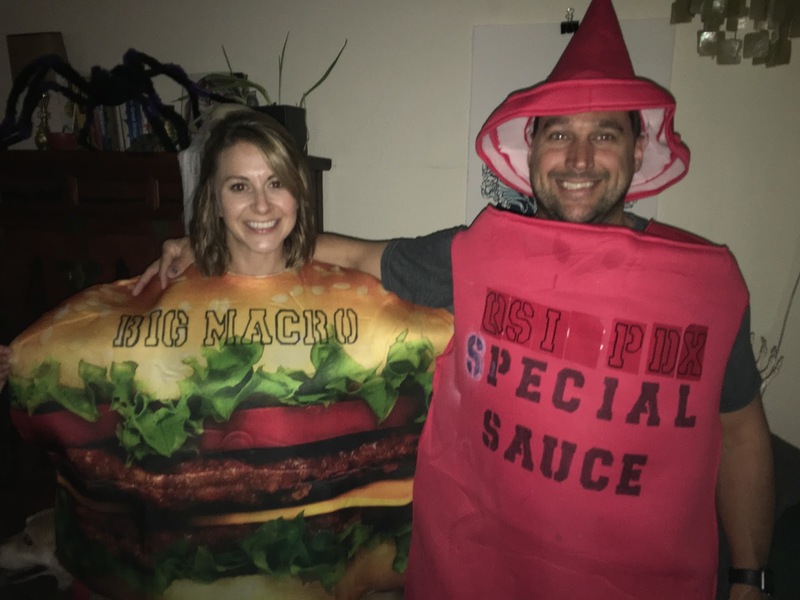 Emily and I, as usual, had no idea what to go as so we headed to a costume store and I found the perfect costumes for us… QSI Special Sauce and a “Big Macro”. 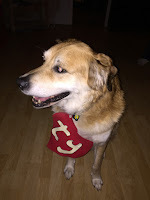 We even decorated Leo up as a squishy Beanie Baby. 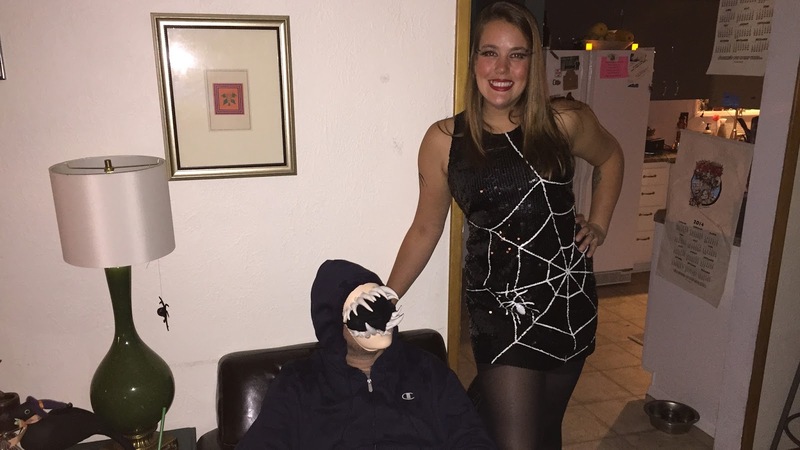 Jason was dressed up with a creepy face of teeth that looked just like a Leviathan from the tv show “supernatural” and Jen had a cute dress of spider webs. 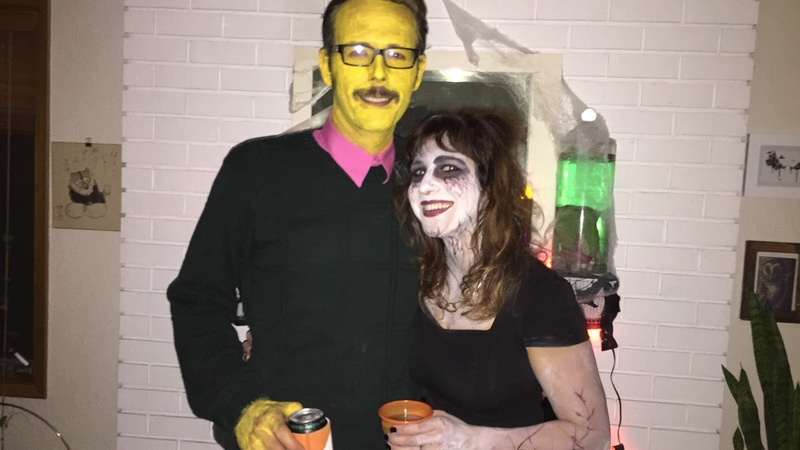 Scott was dressed up creatively as Flanders from the Simpsons and Danielle was a zombie, and clearly had spent a long time on her makeup. There was good food as usual and big bowl of spiked cider with dry ice in it spilling fog all over the kitchen. 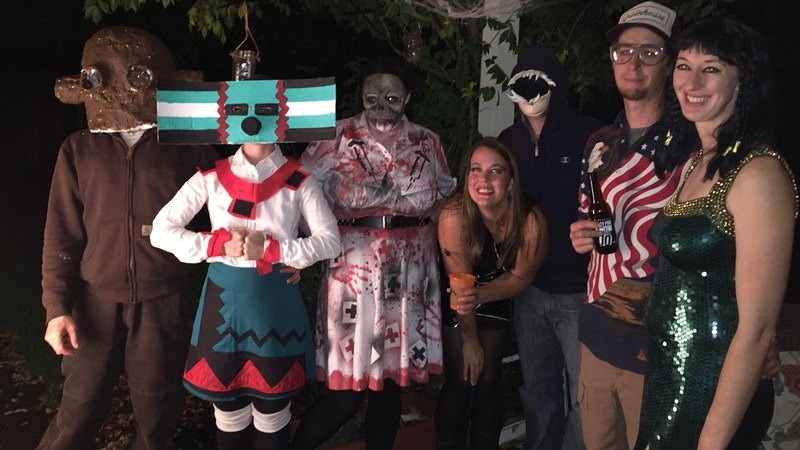 There were a lot of Corvallis people at the party that I wasn’t too familiar with, and a bunch of new hires at the Corvallis QSI office. Only the veteran Watershed friends who knew us and knew what we had gone through got our costumes but I was also happy to explain them to the new hires as well. Lawsuit over, no more hiding what happened to us but this would be the last time I will point it out so openly without being asked. 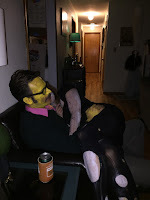 It was a fun party and we were all drunk and passing out before midnight.